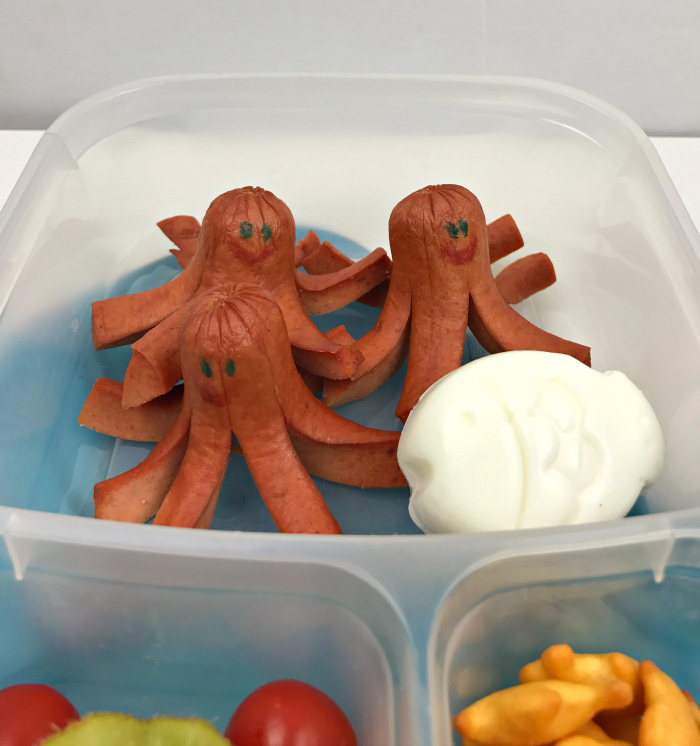 One of my all time favourite lunches to make is the Octodog bento lunch. It’s my fave for a few reasons, and not just because they’re fun to look at, but they’re fun to eat, and quick and easy to prepare. I almost feel like I’m cheating when I make this lunch because it’s seriously that easy. I’ve said before that I love making bentos because it’s a great way for me to introduce, or get my kids to eat foods they wouldn’t normally eat. Today was no exception to that. Me: But look honey! It’s shaped like a fish! Small kid: Ooh! I’ll eat that!! Yes, I fully realize that I’m likely setting my children up for a lifetime of disappointment upon the realization that they can’t always have their food prepared in fun shapes and themes, but for now, while they still let me, and appreciate the lunches that I pack for them. 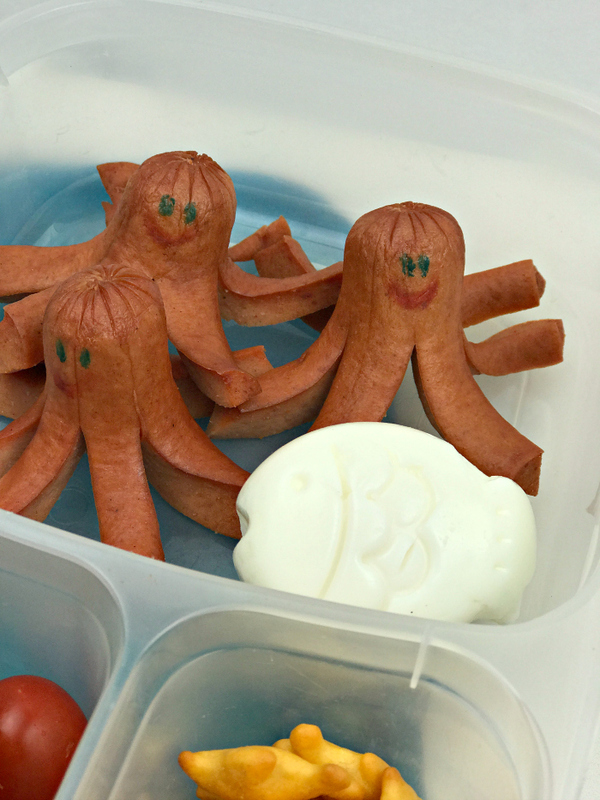 Octodogs and fish shaped eggs they will get! 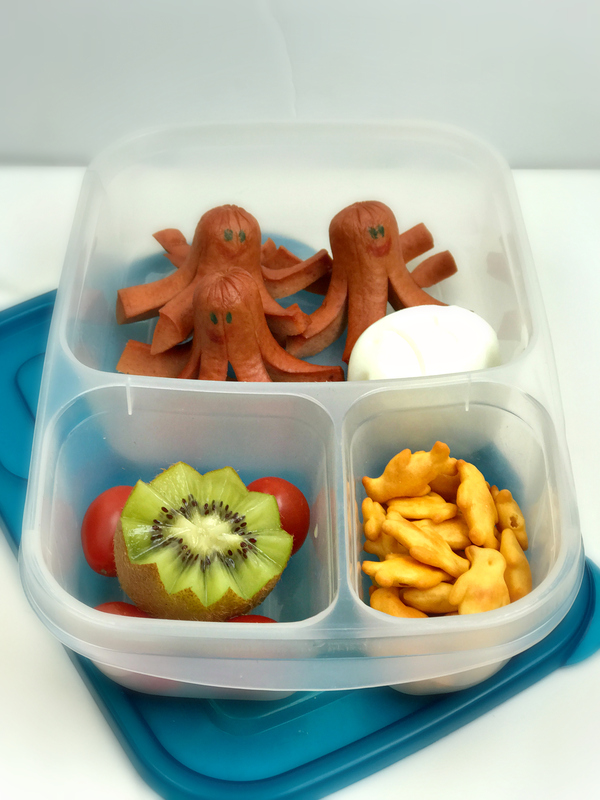 This lunch consists of octopus shaped hotdogs with faces drawn in edible marker, a fish shaped hard boiled egg shaped in an egg mold, Presidents Choice Penguin Crackers, cherry tomatoes, and a kiwi. 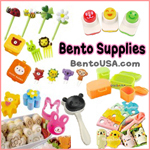 All packed in our Easy Lunch Boxes. Will your kids eat hard boiled eggs in their lunches?